Law, tech, money, travel, products (good and bad) and anything that catches my interest. Bloomberg is reporting that the TSA will now allow small folding pocket knives, as well as some previously banned sporting goods items like hockey sticks and golf clubs. There are some size restrictions and such. For example, the blades have to be shorter than 6 centimeters and cannot lock in place. The new rules take effect April 25, 2013. I applaud this move as a win for common sense. While it certainly makes sense to prohibit certain dangerous objects, the TSA is recognizing that the real risk is from dangerous people. TSA Pre-Check has already made travelling much easier for me, and not having to be taken aside for forgetting everyday objects like pocket knives in my bag will ease the stress of travelling even more. I have no particular desire to take a pocket knife on an airplane, but I nevertheless had one confiscated in 2011. I was a boy scout, and I have always carried a swiss army knife with me in my backpack. They're incredibly handy when you need a screwdriver or bottle opener. After pocket knives were banned following 9/11, I started removing it before every flight and replacing it when I returned. One day I packed in a hurry and forgot to remove it. Bye bye pocket knife. It wasn't the end of the world, but I liked that knife, and I was sad to lose it. I'm glad to see the focus is shifting from what people carry with them onto flights to a more realistic risk-based assessment technique that focuses on background checks and other types of screening. 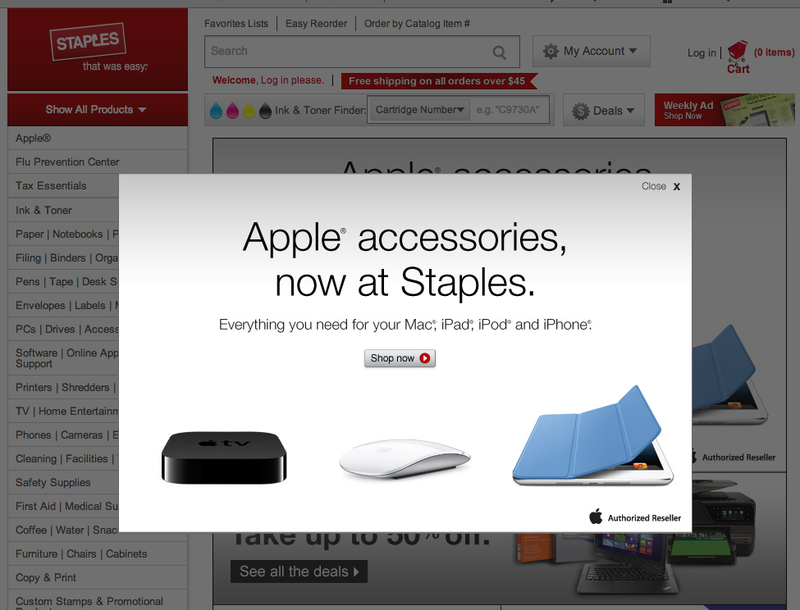 Staples has announced that they are now selling Apple accessories, as well as some Apple devices. They don't have macs or iPads, but they do have AppleTVs and routers such as the Airport Express and Airport Extreme. We have an AppleTV and three Airport devices in our house. The Airport Express, in particular, is a brilliant device. I'll make a dedicated post about it one day because it is so good; it's like the swiss army knife of wireless routers. This is a good opportunity for those in the Miles and Points community to earn extra points through online shopping portals and/or cards such as the Chase Ink Bold and Ink Plus that offer 5x earnings at office supply stores. If you were going to buy a new iPad case or AppleTV anyway, then why not earn extra points on it? Google Maps iOS App Arrives! I woke up to a happy surprise: the new standalone iOS app for Google Maps is here! It dropped last night, and finding out really made my morning. My first impression is a good one. It looks like it's at least as good as it was when baked into iOS, plus now it has spoken turn-by-turn navigation! Woot woot! 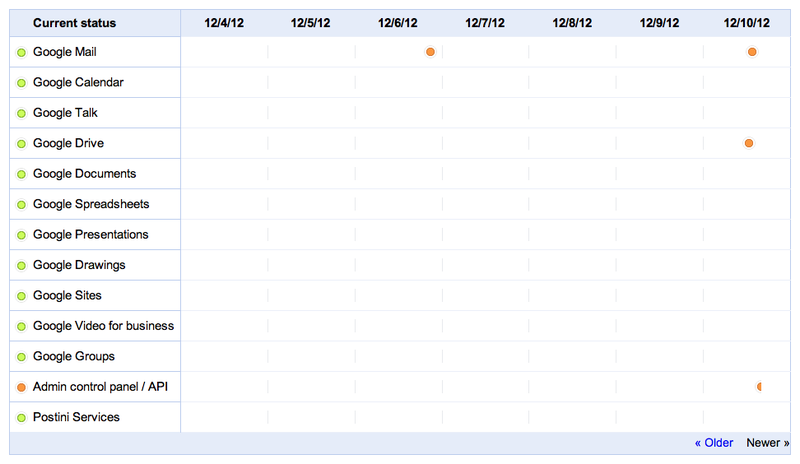 Google Apps is having an issue now affecting some primary and reseller customer accounts. The Organizations and Users tab won't load; it says it can't display and gives error #1000. This prevents you from performing many functions; I was trying to get on to rename a user. I reported the issue to Enterprise Support. 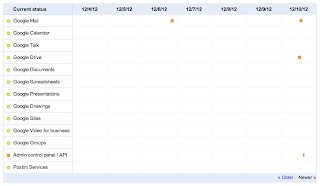 They updated their status page, where they describe it as an issue with the Admin control panel / API. They're working on it but currently there is no workaround. I'll update again as soon as I hear of a workaround or resolution. Update midnight Eastern: Issue resolved! Labels: Google Apps, Google Apps for Business. Dave Brubeck died today at 91; he would have turned 92 tomorrow. His passing is a great loss to the world of music and the world in general. Here is a link to the article from the Chicago Tribune. I'm sad that he is gone, but I feel incredibly fortunate to have seen him play last year with my fiancée. He walked onto the stage like you would expect a 90-year-old man to walk, but he played like a young man. It was really something to be in his presence while he performed. I don't know how he viewed things, but from my perspective, he was a lucky man. To be able to do what he loved until the end...that is not something everyone gets to have. I was disappointed my local Thai place didn't sell gift cards, or I would have gone that route à la Mommy Points. I ended up buying five $25 gift cards at the hardware store Strosnider's. That will probably end up being a free weed whacker! I've gotten the $25 credits already even though AMEX says they can take weeks to post. One credit ended up being for a restaurant I ate at Saturday night instead of the gift card I bought earlier in the day, but no matter, just an anomaly with the order the pending charges cleared. Sign up for AMEX Small Business Saturday! Registration opened this morning for a great AMEX promotion, Small Business Saturday. My fiancée told me about it last year, but I was too late trying to register. If you spend $25 or more at a designated small business, you get a $25 statement credit back from AMEX. You can do it once per card, and you can register multiple cards. Don't miss it, register today at shopsmall.com! Here is a direct link to the enrollment page. Then look at the store map and plan your purchases for next Saturday. You can register any AMEX charge or credit card, except corporate or prepaid cards. 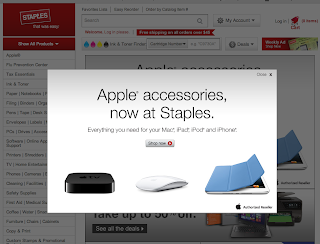 That means you CAN register cards from organizations like Macy's and Citibank. I have one of each and registered them both in addition to my AMEX-issued cards. I'm excited to be participating in this great event that both supports small business and saves me money! If you're looking for a local business in the DC area, my fiancée's shop in Bethesda, Wiggle Room, is on the Shop Small list. It's a great place to find stuff for kids, from clothes to toys to strollers, as well as women's maternity clothes!